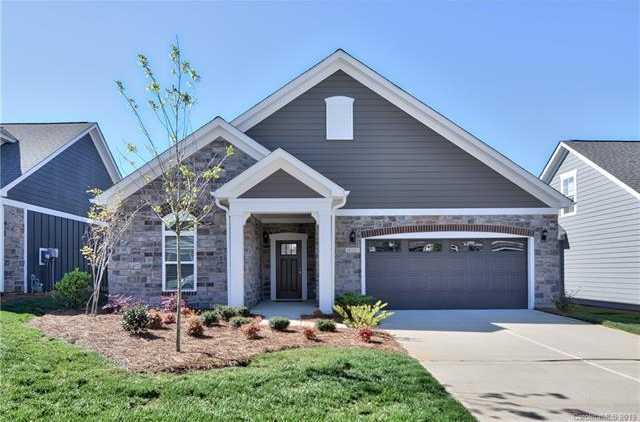 Courtesy of Puma & Associates Realty, Inc..
Must see ranch in The Courtyards on Lake Norman! Luxurious lakeside living! 2 bedrooms, 2 baths & an office. Sought after open floor plan w/ beautiful hardwood floors & tons of natural light! Open kitchen w/ granite counter tops, center island & SS appliances! Sunny breakfast area w/ floor to ceiling windows! Great room w/ gas log fireplace & tray ceiling. Office w/ crown molding, wall-to-wall built ins & double French doors. Elegant owner x2019;s retreat w/ tray ceiling & walk-in closet w/ custom shelving. En-suite bath w/ dual vanity & walk-in tile shower. Spacious secondary bedroom & bath. Peaceful & private backyard w/ covered porch, ceiling fan & hot tub off of owners retreat perfect for relaxing! Enjoy this 55+ community w/ amenities including club house, fitness center, salt water pool, kayak access & walking trails. Great Cornelius location! Walking distance to Lake Norman, Ramsey Creek Park, Jetton Park, restaurants & shopping! Minutes to Birkdale Village. Easy access to I-77. Please, send me more information on this property: MLS# 3494963 – $400,000 – 16203 Lakeside Loop Lane, Cornelius, NC 28031.